For the ninth edition of their Interiors Exhibition, AD France chose “Brut et Valuable” as the theme around which fifteen participating interior designers and architects created a living space to showcase. 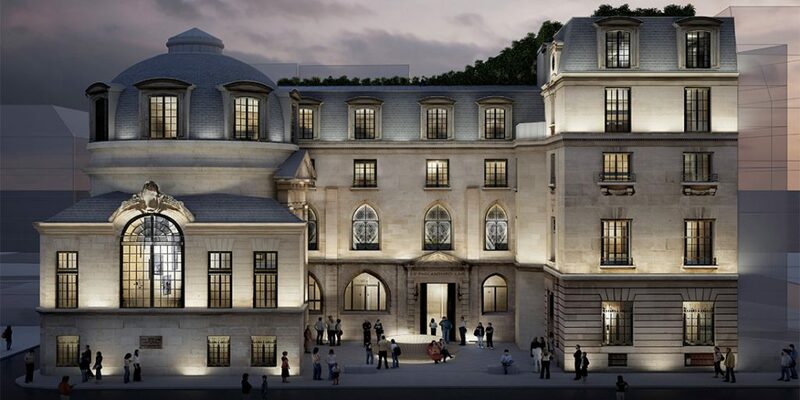 The event was hosted in the XV century Hotel de la Bûcherie, a historically philanthropic site with stunning architecture, which was recently renovated to become La Compagnie des Philanthropes. This presentation of talent embodies the strong currents of contemporary decoration and the diversity of the styles of the moment. Check out a few of our favorites below! Juan Pablo Molyneux, a Chilean-born American interior designer and proponent of maximalism, decorated a stunning dining room with a Neo-classical spirit. The white stucco bas-reliefs that adorn the walls were borrowed from the Parthenon. 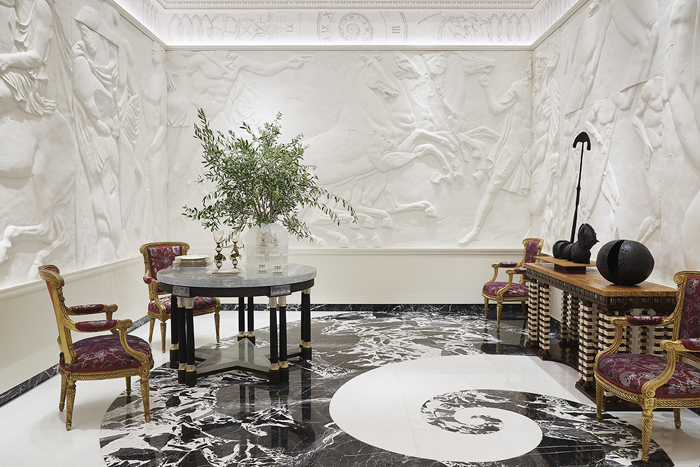 This ancient backdrop is modernized by the marble “swirl” in the ground, and accented with Greek chairs, a striking console table, and a classic round table. Brothers Michel and Daniel Bismut make up the architecture firm Bismut & Bismut. They are known for their clean, fluid lines, sensual textures and monochrome color palette. The immersive experience they created for this exhibition includes flowing walls punctuated by graphic cuts, and juxtaposing materials of plaster, black coatings and textured paint. The central conversation bench invites contemplation, as well as exchanges of points of view. 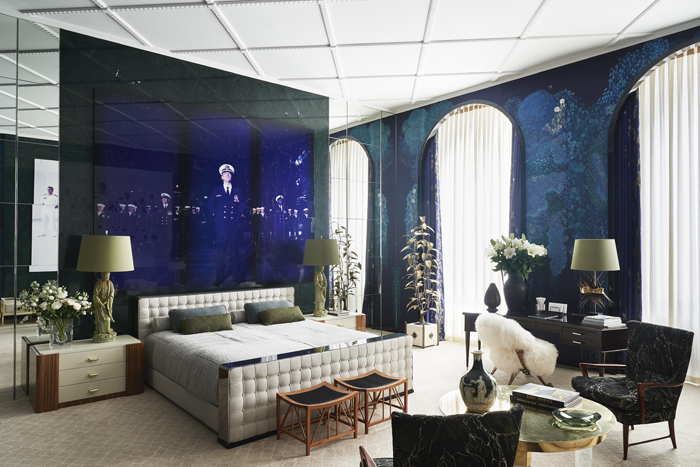 Fabrizio Casiraghi is an Italian architect and urban planner by degree, who got his start in design at Dimorestudio in Milan. His aesthetic includes an expertly curated mixture of references, from well-selected antiques and vibrant colors, to objects of curiosity and exotic touches. 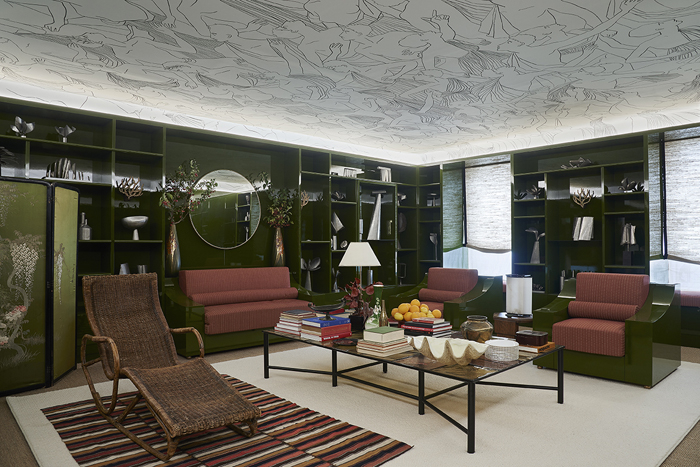 In his space for “Brut et Valuable”, he instills an oriental flair with the screen and Chinese rug, which, combined with the Neo-classical fresco on the ceiling and the large, inviting armchairs, creates a perfect spirit of bohemia. Anne-Sophie Pailleret debuted working on ephemeral sets for luxury brands, transitioned to creating more enduring spaces at Jean-Louis Denoit, and then started her own agency in 2011. Her keen eye for sophistication and attention to the details sets her apart from the rest. 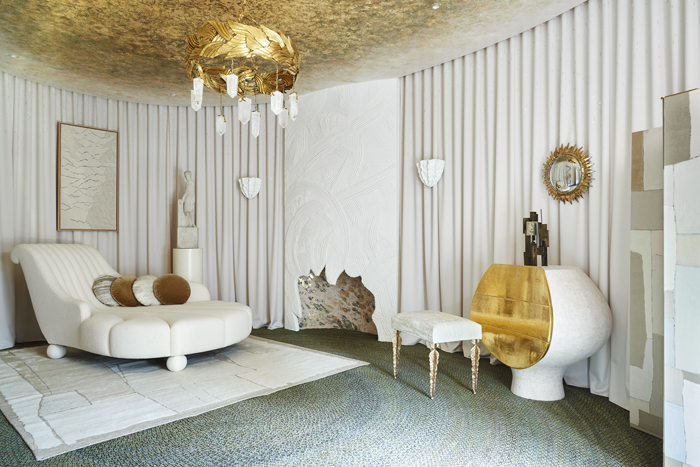 She uses a diverse range of textures in ivory and gold to create a tone of Hollywood glamor in this feminine space. Our favorite element is the fireplace– the shape of the frame elicits that of flames, and the texture above spreads in smoke-like scrolls. So beautiful! Oitoemponto, which translates to “eight hours”, is comprised of work and life partners Artur Miranda and Jacques Bec. Based out of Portugal, this dynamic duo has a sense for playful opulence, mixing vivid tones and muted colors, and balancing timeless piece with eccentric ones. They are also about to deliver the new decor of the Caviar House, near the Champs-Élysées. In their set for the exhibition, they showcase their expertise in dichotomies– classic architecture paired with modern furniture, and specifically seventies black lacquered doors paired with seventeenth-century arches on the opposite wall. The event started September 5 and just ended on Sunday, September 23. View all fifteen designers at the AD France website.